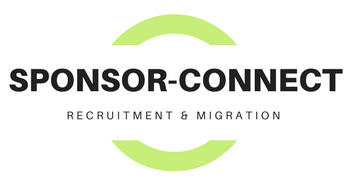 SPONSOR CONNECT™ is a combined service of migration and recruitment professionals. SPONSOR CONNECT™ is subsidiary service of VISAFAQ with a focus on employer sponsored visa services. Our migration professionals are registered agents and lawyers. Our recruitment staff are global mobility and HR professionals. Our recruitment team assist employers with difficulty recruiting from local labour market. 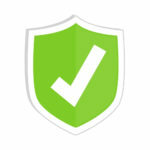 We build and maintain a database of candidates to meet skills in demand. Sponsored visas include temporary (TSS, Training) and permanent (ENS, RSMS) solutions. When you register with us, we gather resumes of skilled workers meeting your requirements. These resumes are provided to us by candidates requiring temporary or permanent sponsorship. Our obligation to you is ongoing. We will continue to introduce candidates fitting your requirements. We continue to work with you by providing ongoing migration advice as regulations change. We advise and assist candidates seeking sponsored employment in Australia. Resumes are then assessed by recruitment and migration professionals. We can advise on eligibility and assist with skills assessment if required. Once assessed for visa eligibility, our recruiters use our proprietary matching system. If an employer is found requiring your skills, recruiters introduce you to them. Employers considering you for sponsorship will initiate interview (phone or Skype). Sponsor-Connect is a legitimate migration and recruitment services business. We comply with the strict Code of Conduct under Migration Regulations 1994. Our migration professionals are registered with the Office of Migration Agents Registration Authority.